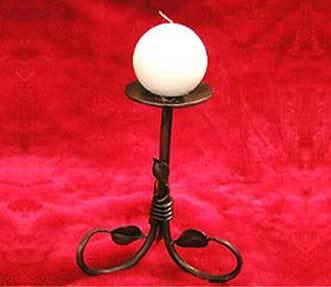 With the support of our proficient workforce, we are regarded as one of the prominent manufacturers and suppliers of Floor Standing Candle Holder. Beautiful design and antique finish of this offered candle holder makes it more demanding amongst our valuable clients. We offer wide range of candle holder that is very traditional in design and style yet contemporary. This range is considered ideal piece of home decor for those who have proclivity for antique items. Description : A visual treat to the lovers of art are these leaf base floor standing candle holders, which will be certainly prove center piece in your party.